The Union of Finnish Psychologists founded Psykologien Kustannus in 1965 to import, translate, adapt, and sell tests and books to Finnish psychologists. Hogrefe Psykologien Kustannus Oy is a part of the Hogrefe group. 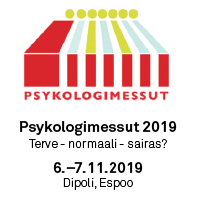 Until 2013 Psykologien kustannus Oy was jointly owned by the Finnish Psychological Association and the Finnish Psychological Society during this period the company expanded its business and is now mainly specializes in developing testing equipment for professional psychologists. It offers Finnish psychologists a wide selection of both domestic and foreign testing equipment, which are the results of high-level research in psychology. Hogrefe Psykologien Kustannus Oy office employs about seven people at the moment, it closely co-operates on product development with the State, regional governmental bodies and privately-owned institutes. The business area of Hogrefe Psykologien Kustannus Oy is to offer high-level testing equipment, books, training and, training material to Finnish psychologists. The company focused on importing tests, in the past. However, the focus has shifted and today the focus lays on the significance of developing domestic testing methods. Hogrefe Psykologien Kustannus Oy has a high level of knowledge in psychology, and stand among the foremost in international development of e.g. testing methods in neuropsychology.